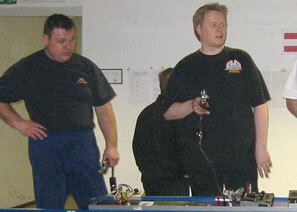 9-12:th of March Kouvola were once again the host for a major wing car race. The European Championship. There were not only Europeans there. A duo left the heat of the 33+ degrees Celsius summer in Brazil for the nice fresh and clear -15 to 20 Celsius winter weather of Finland. 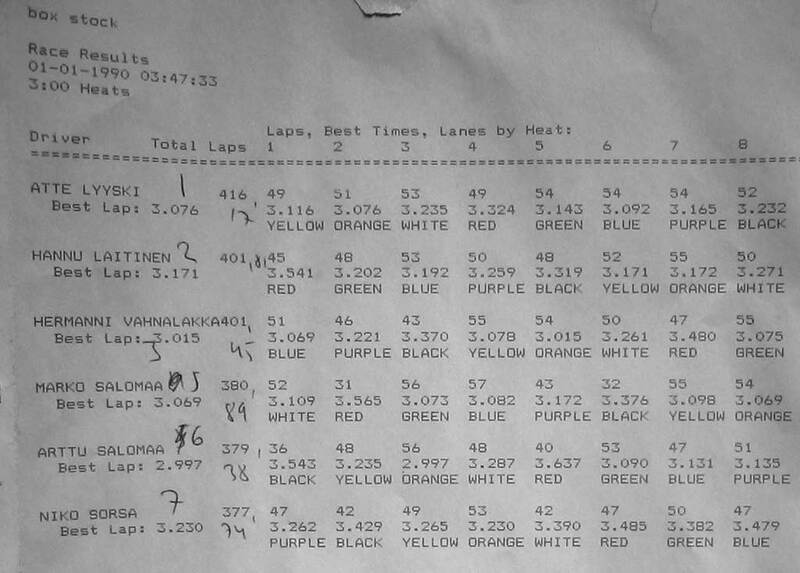 Four races was on the schedule. The G-7 One motor race. Box stock G-12. G-27 and finally the G-7 class. You are not allowed to enter all racers. If you race the Box stock you may not race the main G-7 class. As a warm-up race a one motor race was held. The racers were by lottery moved into two semi-finals. The top four from each were then moved to a A main and the rest moved to a B main. 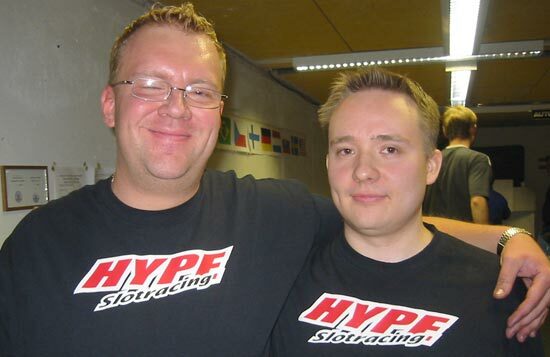 In the A main it was Juha Yli-Sipola and Mikael Silén that took on a battle in the lead where Mikael looked be a possible winner until a broken brush spring ended the race. 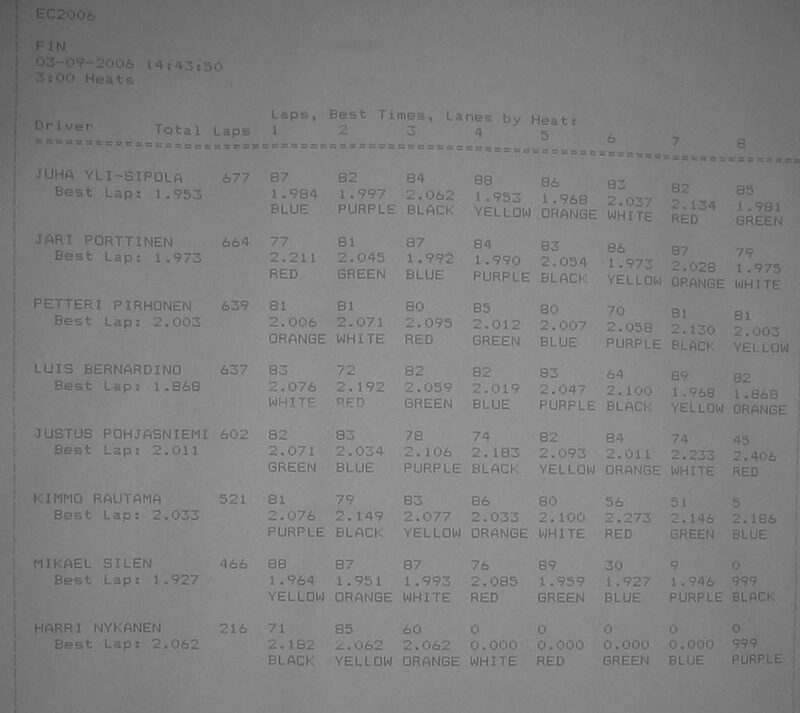 Instead Jari Porttinen took on the battle and gained some laps on Juha during the first half of the last heat but then Juha was able to extend his lead. A new class for the European Championship is the Box stock G-12 class. 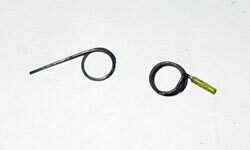 It uses the Mura C-can as the base for a motor. 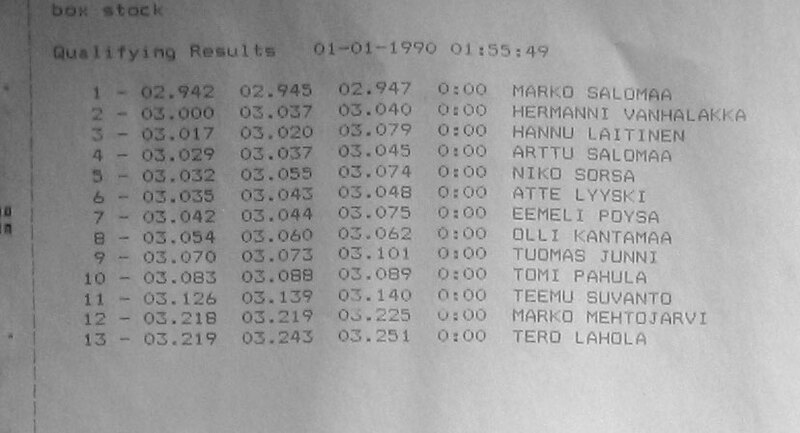 Top qualifier was Marko Salomaa 2.942 in front of Hermanni Vahnhalakka 3.000 and Hannu Laitinen 3.017. All qualifying results here. Two mains were run. 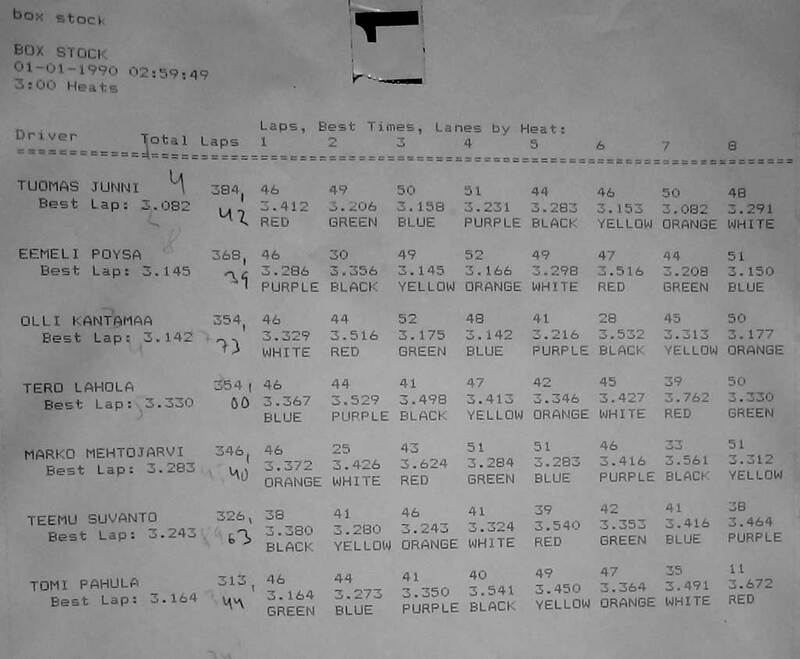 Most laps and winner was Atte Lyyski.